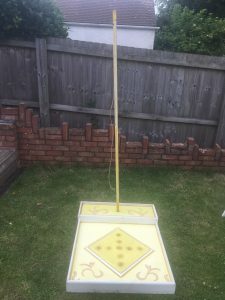 Giant version of the traditional pub game of bar skittles. Great for weddings or garden parties. 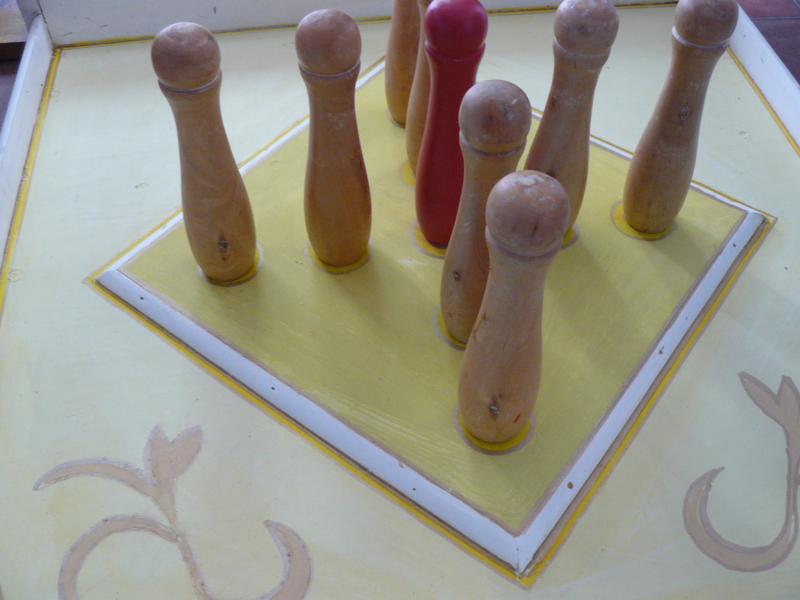 Base of the game is 73.5 cm x 94 cm. The game separates for easy transportation.